Charles Gates Dawes (1865 -1951) lawyer, financier, and statesmen was born in Marietta, Ohio. He graduated from Marietta College in 1884 and from the Cincinnati Law School in 1886. He was admitted to the bar in 1886 and practiced in Lincoln, Nebraska from 1887-1894. Dawes married Caro Blymyer in 1889, and they had two biological children, Rufus Fearing Dawes and Carolyn Dawes, and two adopted children, Dana and Virginia. Dawes became interested in public utilities and banking and moved his family to Evanston, IL, where they purchased the 1895 home of Robert Sheppard in 1909. Dawes served as Comptroller of the Currency, United States Treasury Department, from 1898-1901. During the First World War he was commissioned as a major, lieutenant colonel, and brigadier general. He served overseas with the American Expeditionary Forces as chief of supply procurement and was a member of the Liquidation Commission, War Department. 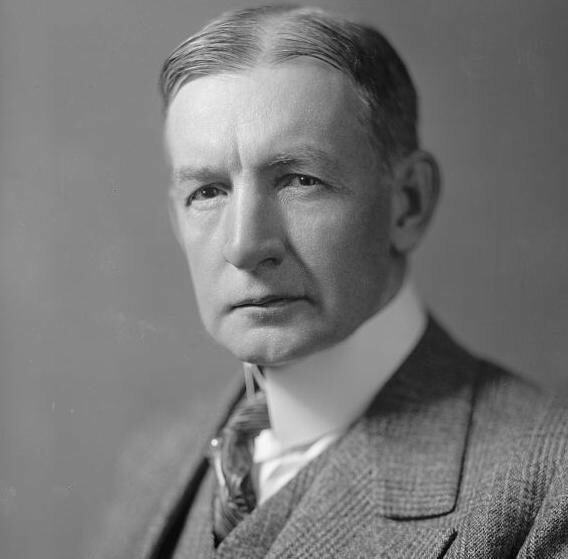 After the war, upon the creation of the Bureau of the Budget, he was appointed its first Director in 1921. In 1923, he served as chair of the Allied Reparations Commission that advanced the “Dawes Plan” as a means of stabilizing postwar German finances. In 1925, his work was recognized by the award of the Nobel Peace Prize (shared with Sir Austen Chamberlain).